On April 24, 2013, more than 1,100 garment workers were killed and 2,500 were injured when the Rana Plaza factory building collapsed in Dhaka, Bangladesh. Even though there were fears the building would collapse, garment workers were pressured to remain at work under threat of 1 month’s lost pay. The Rana Plaza collapse is considered one of the worst garment factory tragedies in history. Unfortunately, these types of events happen all too often. A few months earlier, there was a garment factory fire (also in Bangladesh) that killed 112 people. The disaster in Dhaka brought new awareness about the terrible working conditions for garment workers. People were saddened and outraged, so in an effort to improve working conditions for garment workers and bring more transparency to the fashion industry, Fashion Revolution Day was born. 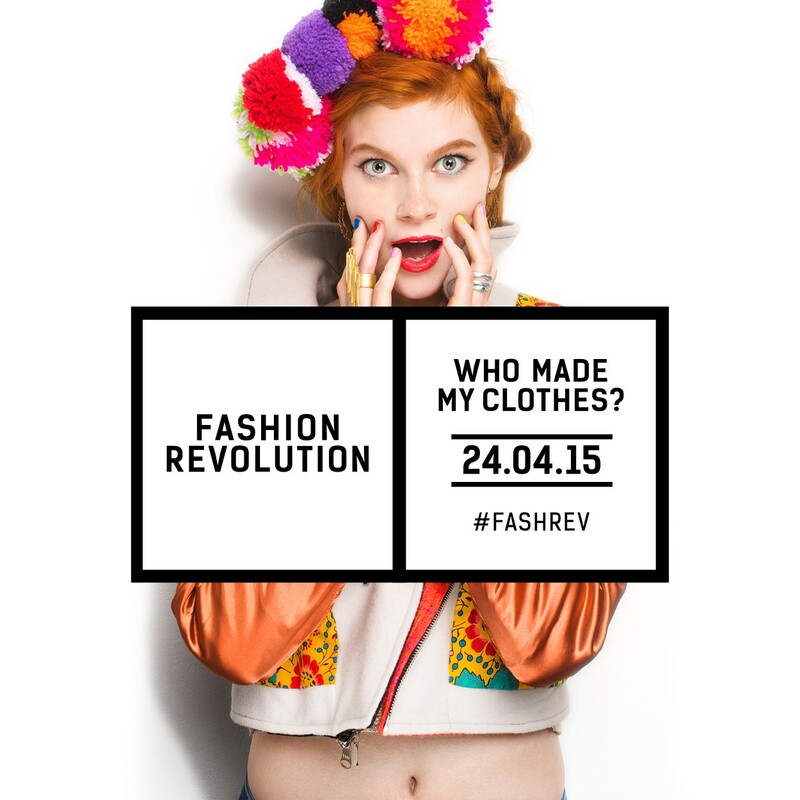 The first Fashion Revolution Day took place on April 24, 2014, the anniversary of the collapse of Rana Plaza. 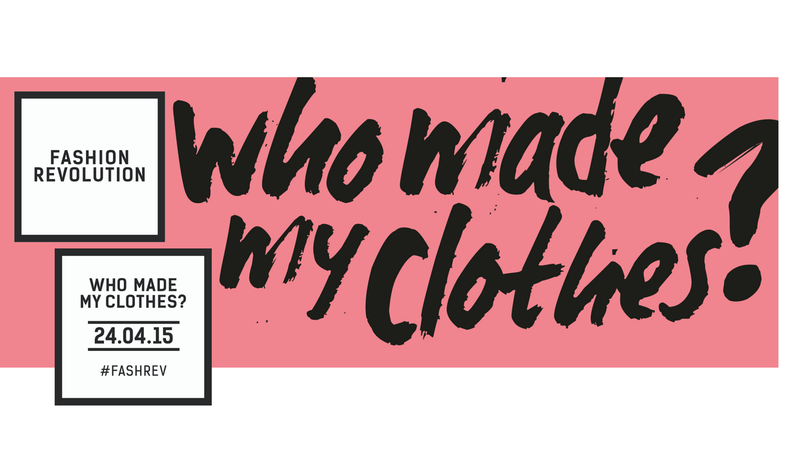 People wore their clothes inside out and asked clothing brands — who made my clothes? 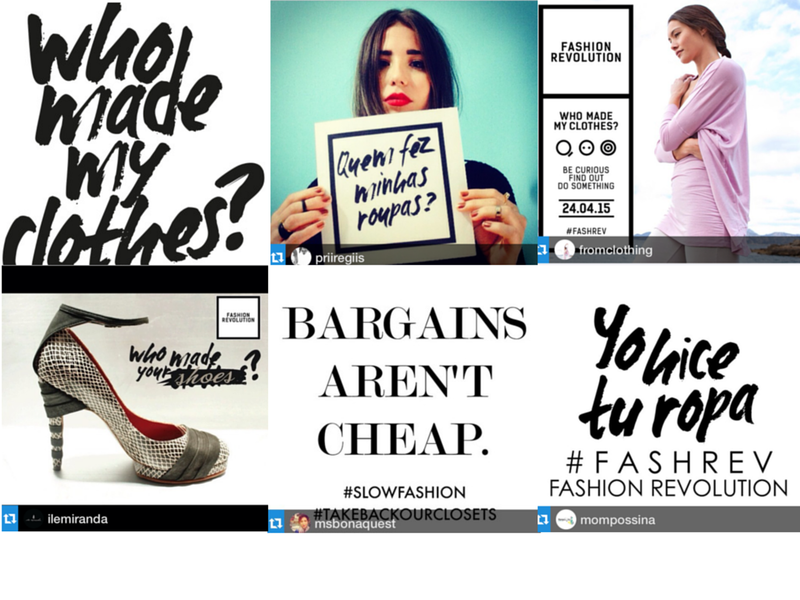 This year, the same conversation is happening on social media at #whomademyclothes. Kiva prides itself on transparency. We think it’s important that our lenders know where their money is going. We also believe in better working conditions for people around the globe and ethical business practices. That’s why we’re participating in Fashion Revolution Day this year by featuring an amazing Kiva borrower and Field Partner who are putting a face to the people who make their clothes. These companies are practicing ethical, eco-friendly fashion we can get behind, and wear with pride. Based in San Francisco, Indosole is an eco-friendly shoe and apparel company. The idea for Indosole was born on a surf trip to Bali in 2004. After seeing the extensive pollution and an interesting shoe design, Kyle Parsons and Faye Middleton, co-founders of Indosole, were inspired to try to do something positive in the community. Indosole repurposes tires that would otherwise end up in landfills in Indonesia into shoes. The company has saved over 8,000 tires from landfill and sold approximately 16,000 shoes to date; the goal is to eventually save 1 million waste tires from Indonesian landfills. 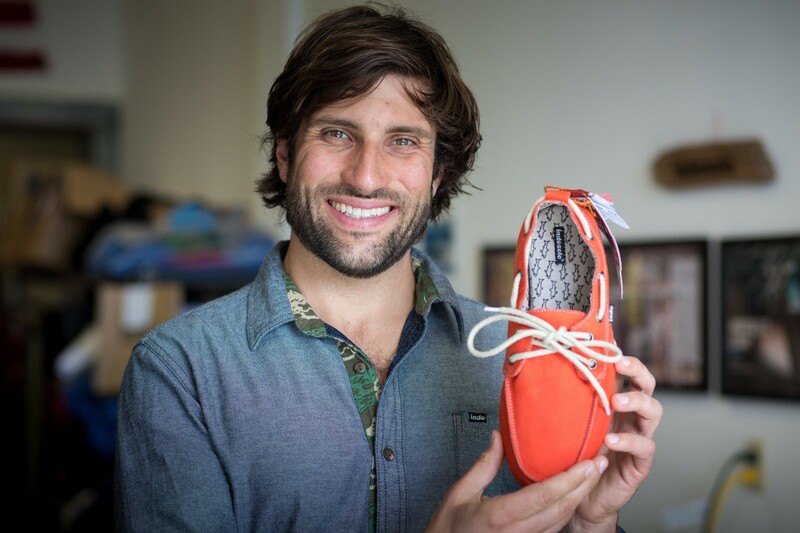 Kyle, the co-founder of Indosole with one of Indosole’s shoes. Komang, 28, is Indosole’s Factory Manager from Denpasar, Indonesia. She has been working at Indosole in Bali for 5 years. Find out more about Indosole at http://indosole.com or https://zip.kiva.org/loans/279. Indigenous Designs is a Northern California-based organic and fair trade apparel company. 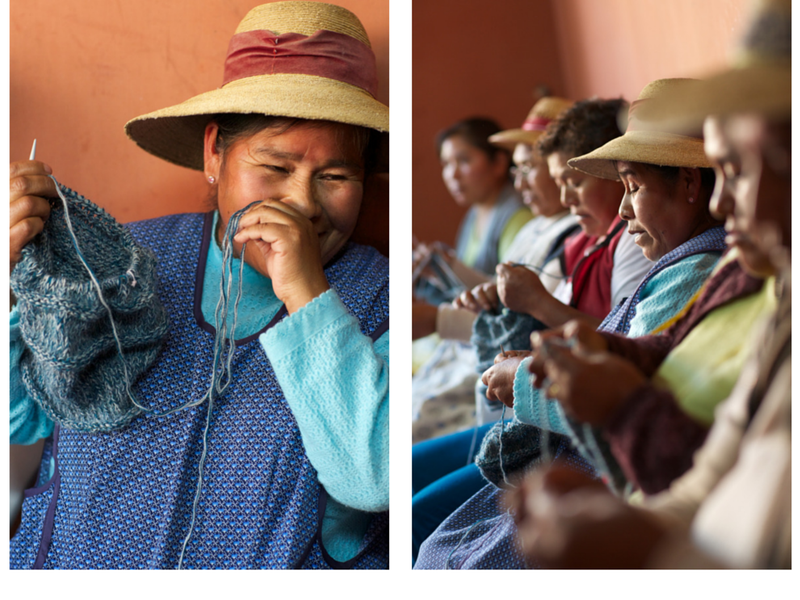 It employs more than 1,500 hand-knitting artisans in South America and believes in the preservation of fair wages and artisan cooperatives. The company uses natural and organic fibers and environmentally-friendly dyes. Co-founders Matt Reynolds and Scott Leonard have been working to transform the fashion industry long before Fashion Revolution Day. Reynolds and Leonard founded Indigenous Designs on the belief that apparel companies must be accountable for the quality of their garments and their manufacturing processes. Indigenous Designs’ South American hand-knitter Eva Arvilica. Many companies in the fashion industry don’t share how their clothing is made, but Matt and Scott have long been advocates for supply chain transparency. The company recently created the Fair Trace Tool, a mobile-enabled application, which allows consumers to track where and under what conditions their clothes were made. Clothing shipped since the Fall 2012 line has a code that can be scanned to connect you with the profile of the artisan that made your clothing. Matt and Scott are working hard to “transform the often opaque fashion industry into one respected for producing beautiful and trendy clothes through transparent, ethical and eco-friendly methods,” an effort Kiva whole-heartedly supports. Find out more about Indigenous Designs at https://www.indigenous.com or http://www.kiva.org/partners/353. Join us in demanding transparency and fair working conditions for workers in the fashion industry. To learn more and become a part of the revolution go to http://fashionrevolution.org.